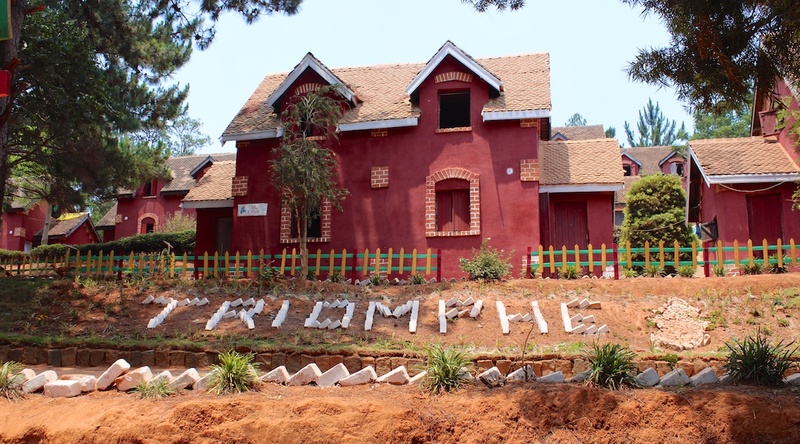 The Mission House has supported children from Le Triomphe Children’s Centre since 2005. The Centre is an orphanage for 102 children and is an important part of the local rural community. As well as financial support for their ongoing daily needs through our unique Child Sponsorship Program The Mission House has also provided new shoes and clothing for the children, short term Field Staff Volunteers to help in the children’s home and contribute to annual summer camps for all the children. A significant development project in terms of size and cost was the installation of a fresh water supply system. We are totally committed to the principle of self-sustainability. Le Triomphe used to be totally dependent on outside help, but as part of the process of working towards self-sustainability, the orphanage acquired land at Marovoay. This was rented from the government at first, with an option to purchase the land once the government inspector was satisfied. The land has now been purchased and some is already in production. The Mission House has been instrumental in providing some of the capital input to ensure the success of the project, especially through the provision of fertiliser. The farm now produces vegetables and rice which ensures the children in the Orphanage receive substantially improved nutrition. The medium-term plan is to bring more land into production to produce a surplus which will be sold in to local markets to create a revenue stream in support of the farm and the orphanage.